We reserve the right to review and change these Terms & Conditions at our discretion at any time. If you continue to use the SITE after the COMPANY has made changes to the Terms & Conditions, you agree to be bound by the new Terms & Conditions stated on the SITE. At any time, you may be referred to as the "client", "customer", "patient", "retreat attendee" or "participant". All of the courses offered by Nicole Du Guay may be referred to as "the course". Any of the home-study materials may be referred to as "the program". The home-study programs refer to any course that you study at home and not in a physical property or in a venue with Nicole Du Guay present. The electronic documents, videos and supporting information provided for your studies may be referred to as "materials", "modules", "downloads", "lessons", "workbooks", "coursework", or "sections". Information provided on the SITE and related to our service of Holistic Health and Wellness Coaching (the “SERVICE”) is subject to change. The COMPANY makes no representation or warranty that the information provided is accurate. All visitors to this website are responsible for their own choices of therapy and therapist - and must never replace or supplement any traditional medical/mental care with any natural modality/process/procedure unless they have the express permission in writing from their attending traditional medical/mental health professional. 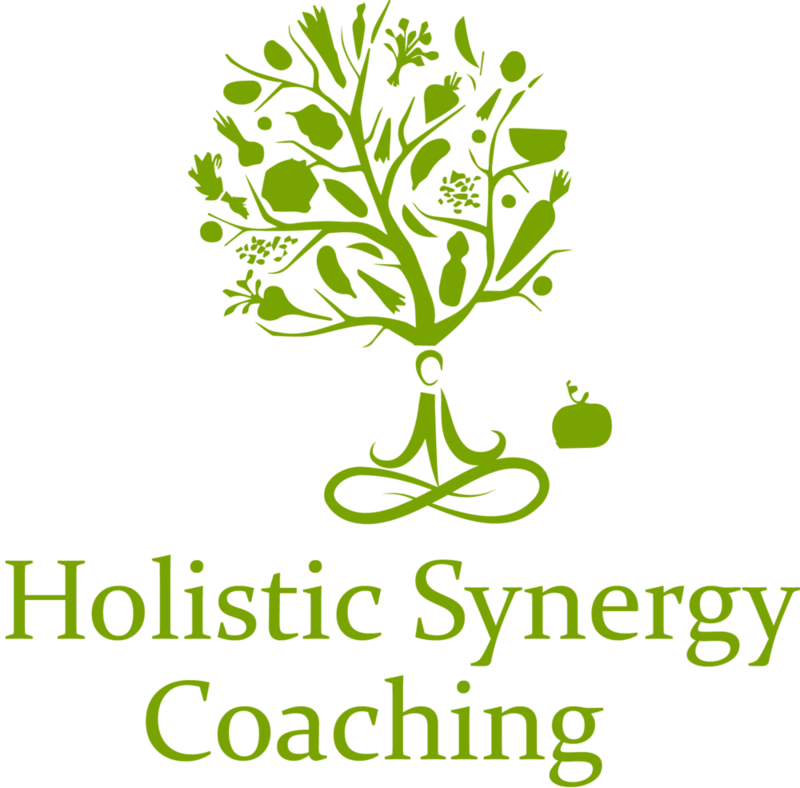 The owners of Holistic Synergy Coaching are not responsible or liable in any way for the choices of any visitor to this website. In order to use the SITE and SERVICE, you may be required to provide information about yourself including your name, email address, and other personal information. You agree that any registration information you give to the COMPANY will always be accurate, correct and up to date. You shall only be allowed to provide your own personal information and not the information of others. The SITE and the SERVICE may contain links to third party websites and resources. You acknowledge and agree that we are not responsible or liable for the information or services of these third party websites or resources. Links to such websites or resources do not imply any endorsement by or affiliation with the COMPANY. All advertisers on this website are responsible for ownership of the accuracy and legality of all content on their webpage(s). Any other link will be covered by the terms and conditions of that specific site. You acknowledge and accept that the COMPANY and it's owners are not responsible or liable in any way for any information provided to, or accessed by, any person on third party website(s). You acknowledge sole responsibility for and assume all risk arising from your use of any such websites or resources. The COMPANY reserves the right to cancel or refuse service to anyone, for any reason. These reasons may include, but are not limited to, CLIENT behavior, attitude or negative representation in which the COMPANY no longer deems appropriate or acceptable to continue the agreement with the CLIENT, based on the Terms & Conditions found on the SITE. Costs of the SERVICES will not be refunded. Under normal circumstances, no refunds will be available once the CLIENT signs the contract between the CLIENT and Nicole Du Guay. In the event that the CLIENT terminates services prior to the completion of the SERVICE, the CLIENT shall be responsible for the entire fee set forth herein. To the extent that the CLIENT provides the COMPANY with credit card information for payment, the COMPANY shall be authorized to charge the CLIENT's credit card for any unpaid invoices. If the CLIENT uses a multiple payment plan to make payments to the COMPANY for SERVICE, the COMPANY shall be authorized to make all charges at the time they are due and not require separate authorization in order to do so. The CLIENT shall not make any charge-backs to the COMPANY's account or cancel their credit card provided as security without the COMPANY's prior written consent. The CLIENT is responsible for any fees associated with recouping payment on charge-backs and any collections fees associated therewith. Nicole (Du Guay) Visca shall charge a two-percent (2%) late penalty to all unpaid balances, should the CLIENT not make payment at the time they are due. Any information you provide to the COMPANY, such as your personal details and medical information, will not be made available to any third parties unless explicit and written consent is granted by you. All the transformations and testimonials presented by the COMPANY are real. However, these testimonials are not claimed to represent guaranteed results from using the SERVICES. Your results may vary from using SERVICES, and you may not get the same results compared to someone else when using our SERVICES due to differences in your individual circumstances. Your experience will depend upon you and how much effort you put in. The CLIENT acknowledges explicit consent to the COMPANY, without reservation to use, assign, convey, reproduce, copyright, or publish my name, image and/or likeness that arises from my participation in the SERVICE for promotional, instructional, business or any other lawful purposes, at the COMPANY's sole discretion. If the CLIENT does not wish images and/or their likeness to be used for promotional, instructional, business or any other lawful purposes, at the COMPANY's sole discretion, explicit written request is required. The COMPANY shall abide by any written request regarding images and/or likeness of the CLIENT being used for promotional, instructional, business or any other lawful purposes, at the COMPANY's sole discretion. The SITE and SERVICE contain intellectual property owned by the COMPANY. This intellectual property includes, but is not limited to, trademarks, copyrights, proprietary information and other intellectual property as well as the COMPANY name, logo, all designs, text, graphics, other files, and the selection and arrangement thereof. You may not use in any format whatsoever of the SITE or SERVICE content or intellectual property, in whole or in part without our prior written consent. Any copyright infringement will result in legal action taken on behalf of the COMPANY. You shall indemnify and hold the COMPANY harmless from and against any and all claims, actions or demands, liabilities and settlements, as well as third party claims and causes of action, including, without limitation, attorneys’ fees, resulting from your violation of these Terms & Conditions, or any use by you of the SITE or SERVICE. You shall bear the sole financial burden in connection with any such defense, including, without limitation, providing us with such information, documentation and reasonable access to you, as we deem necessary. You shall not settle any third party claim or waive any defense without our prior written consent. UNDER NO CIRCUMSTANCES, INCLUDING, BUT NOT LIMITED TO, NEGLIGENCE, SHALL WE, OUR SUBSIDIARY AND PARENT COMPANIES OR AFFILIATES BE LIABLE FOR ANY DIRECT, INDIRECT, INCIDENTAL, SPECIAL OR CONSEQUENTIAL DAMAGES THAT RESULT FROM THE USE OF, OR THE INABILITY TO USE, THE SITE, INCLUDING ITS MATERIALS, PRODUCTS, OR SERVICES, OR THIRD-PARTY MATERIALS, PRODUCTS, OR SERVICES MADE AVAILABLE THROUGH THE SITE, EVEN IF WE ARE ADVISED BEFOREHAND OF THE POSSIBILITY OF SUCH DAMAGES. (BECAUSE SOME STATES DO NOT ALLOW THE EXCLUSION OR LIMITATION OF CERTAIN CATEGORIES OF DAMAGES, THE ABOVE LIMITATION MAY NOT APPLY TO YOU. IN SUCH STATES, OUR LIABILITY AND THE LIABILITY OF OUR SUBSIDIARY AND PARENT COMPANIES OR AFFILIATES IS LIMITED TO THE FULLEST EXTENT PERMITTED BY SUCH STATE LAW). YOU SPECIFICALLY ACKNOWLEDGE AND AGREE THAT WE ARE NOT LIABLE FOR ANY DEFAMATORY, OFFENSIVE OR ILLEGAL CONDUCT OF ANY USER. IF YOU ARE DISSATISFIED WITH THE SITE, ANY MATERIALS, PRODUCTS, OR SERVICES ON THE SITE, OR WITH ANY OF THE SITE’S TERMS AND CONDITIONS, YOUR SOLE AND EXCLUSIVE REMEDY IS TO DISCONTINUE USING THE SITE AND THE PRODUCTS, SERVICES AND/OR MATERIALS. THIS SITE IS CONTINUALLY UNDER DEVELOPMENT AND the COMPANY MAKES NO WARRANTY OF ANY KIND, IMPLIED OR Expressed, AS TO ITS ACCURACY, COMPLETENESS OR APPROPRIATENESS FOR ANY PURPOSE. PARTICIPANT acknowledges and agrees that no representation has been made by nicole du guay, holistic synergy OR ITS AFFILIATES and relied upon as to the future health, expenses, income or potential healing that may be derived from the participation in this PROGRAM. no guarantee has been made with regards to health, healing, cures or removal of disease. Participant acknowledges understanding that level of success in attaining similar results is dependent upon a number of factors including, but not limited to, individual skill level, knowledge, ability, dedication and financial situation. because these factors differ according to individuals, the company cannot and does not guarantee your success, health, or ability to heal. you alone are responsible for your actions and results. Any forward-thinking statements outline in the site are simply our opinion and experience and thus are not official guarantees or promises for actual performance. it should be clear that by law, we make no guarantees that you will achieve any results whatsoever from participation in programs based on nicole du guay's personal ideas or models presented on the site and the company or it's affiliates do not offer legal professional, medical, psychological or financial advice. In no event shall Nicole Du Guay or the company be liable to the consumer for any loss of business, profits or for any other indirect or consequential loss or damage whatsoever. Nicole du guay warrants that the materials will be of satisfactory quality but does not warrant that the materials will be error-free. The information contained in or made available through the SITE (including but not limited to information contained in videos, message boards, comments, during coaching calls, in emails, in text files, or in chats) does not constitute or imply any guarantee of any therapist or therapy listed herein. You should regularly consult a doctor in all matters relating to physical or mental health, particularly concerning any symptoms that may require diagnosis or medical attention. All visitors to the SITE are responsible for their own choices of therapy and therapist - and must never replace or supplement any traditional medical/mental care with any natural modality/process/procedure unless they have the express permission in writing from their attending traditional medical/mental health professional. The owners of the COMPANY, and their affiliates, are not responsible or liable in any way, whether direct, indirect, consequential, special, or exemplary for the choices of any visitor to the SITE resulting in, but not limited to, economic loss, injury, illness or death. The CLIENT will receive an email confirmation from the COMPANY to confirm placement of your order. This said email will also contain the details concerning the details concerning product delivery. In the event that there is an error contained in this email confirmation, it is the CLIENT's responsibility to inform the COMPANY as soon as possible. We endeavor to describe and display the SERVICE as accurately and as clear as possible. Please do not accept that the SITE is entirely accurate, current or error-free. We may correct any errors in pricing or description from time to time. We reserve the right to refuse or cancel any order with an incorrect pricing listed. This agreement is part of the general Terms & Conditions that you accept when you enroll. You promise to not copy, resell, publish or otherwise distribute any of the course materials given to you. Furthermore, you promise to conduct yourself in a respectful and considerate manner when using the Facebook support groups. This agreement and any disputes or claims arising out of or in connection with its subject matter or formation (including non-contractual disputes or claims) are governed by and construed in accordance with the law of the state of Illinois, regardless of the conflict of laws principles thereof. This Agreement shall be construed in accordance with, and governed by, the laws of the province of Manitoba exclusive of its choice of law rules. The parties agree to attempt to resolve any dispute, claim or controversy arising out of or relating to these Terms & Conditions first by good faith negotiation. The exclusive venue for any arbitration or court proceeding based on or arising out of this Agreement shall be Winnipeg, Manitoba and any such award shall be binding on the parties. The prevailing party or parties shall be entitled to recover reasonable attorneys’ fees and other costs incurred in that action or proceeding, in addition to any other relief to which it or they may be entitled. Should any provision of these Terms & Conditions be or become invalid, illegal, or unenforceable under applicable law, the other provisions shall not be affected and shall remain in full force and effect. These Terms & Conditions bind and inure to the benefit of the parties’ successors and assigns. These Terms & Conditions are not assignable; any transfer, assignment or delegation by you is invalid. These Terms & Conditions constitute the entire agreement between the parties with respect to its relationship and supersede all prior oral or written agreements, understandings and representations to the extent that they relate in any way to the subject matter hereof. No waiver of any of the provisions shall bind either party unless set forth in a writing specifying such waiver, consent or amendment signed by both parties. The headings of these Terms & Conditions are provided for convenience only and shall not affect its construction or interpretation. To access or use the SITE, you must be 18 years or older and have the requisite power and authority to enter into these Terms & Conditions. The RETREAT ATTENDEE will release, forever discharge and agree to hold the COMPANY, the business directors and their site organizations harmless from any and all liability, claims, demands and lawsuits and expenses arriving from any personal injury, sickness, death, or property damage of any nature whatsoever, which may be incurred or suffered by the RETREAT ATTENDEE while attending retreats with hosted or led by Nicole Du Guay. The RETREAT ATTENDEE understands that the COMPANY reserves the right to decline to accept or retain any person whose actions, physical health, mental condition or general deportment impede trip operation or rights, welfare or enjoyment of other attendees. The RETREAT ATTENDEE assumes all risk of potential injury, sickness, death, damage and expenses arising from their participation in all activities, including all activities, excursions, courses, program offerings and yoga instruction offered at the retreat. The RETREAT ATTENDEE agrees to indemnify and hold the COMPANY, the site organization and their respective members, directors, employees, volunteers and agents (collectively, the "indemnities"), harmless, from and against any and all claims, demands, actions, lawsuits, damages and liabilities, including attorneys' fees and expenses sustained by the INDEMNITIES as the result of the negligent, willful, or intentional acts of the RETREAT ATTENDEE. The CLIENT acknowledges explicit consent to the COMPANY, without reservation to use, assign, convey, reproduce, copyright, or publish my name, image and/or likeness that arises from my participation in the retreat for promotional, instructional, business or any other lawful purposes, at the COMPANY's sole discretion. The COMPANY reserves the right to substitute hotels and group leader and to alter the itinerary when deemed necessary or advisable. The right is also reserved to cancel any trip prior to departure. The COMPANY, its directors and affiliates are released from any and all liability for cancellation of any trip, or portion thereof, and reserves the right to cancel the retreat in the even that we do not meet the retreat minimum requirements. In the event the retreat is cancelled by the COMPANY, all moneys paid will be fully refunded. The CLIENT understands and acknowledges that any cancellations must be received in writing by the final deadline stated in the retreat description. Any cancellations received after the final deadline stated in the retreat description will result in a one hundred-percent (100%) of the total trip cost and all moneys paid to the COMPANY.